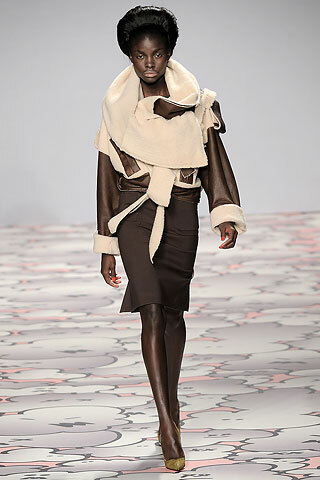 The use of shearling was a big trend on the Fall runways. 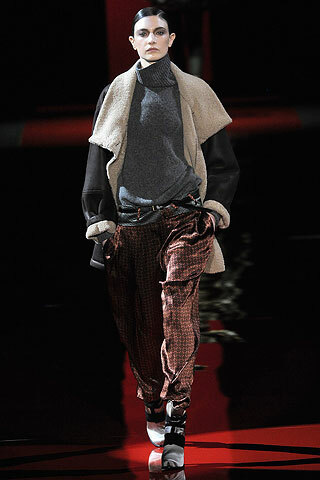 Traditional styles were seen at Burberry Prorsum, Giles, and Etro while other designers re-interpreted this trend in modern versions using shearling as a texture. 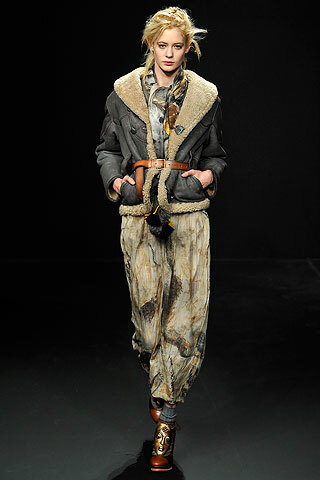 Designers also used shearling as a trim on coats and within hats and accessories. Traditional shearlings channel Amelia Earhart and will be the version most seen in stores. 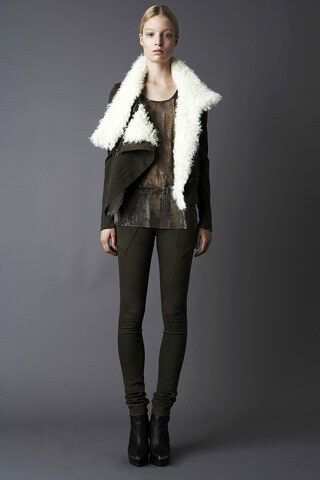 The Junior market will offer several interpretations of this style in cropped versions as well as shearling trimmed accessories. The Contemporary market will offer shearling vests, skirts and modern styles using shearling trims in architectural silhouettes.